I have always been a good listener of The Carpenters since young. I really loved Karen Carpenter's voice and the messages she had in all of her songs. 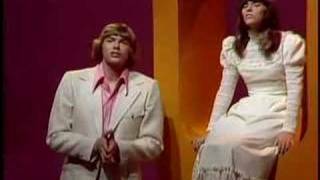 The Carpenters have been a favorit of mine since 1972 while I was a DJ up in Canada North Courtry 300 miles from the north pole. Warning: What they download may not reach your mobile - that happened to me and my requested refund was ignored.